The Boy and I actually don’t celebrate Valentine’s Day – we started dating a few days before it, so celebrate on the 10th and don’t really bother getting into the hype on the 14th. Not that there’s a huge amount of hype for Valentine’s here in Australia – perhaps it’s my limited dating history, but besides more jewellery commercials and booked out restaurants, it’s always felt like a bit of a non-event. That said, I couldn’t resist the opportunity to make something pretty and pink and rose inspired for this weekend’s sweet treat. I’ve been thinking about making sorbet ever since I started this series of weekly dessert posts, and ridiculously cheap watermelon at my fruit & veg shop sealed the deal. 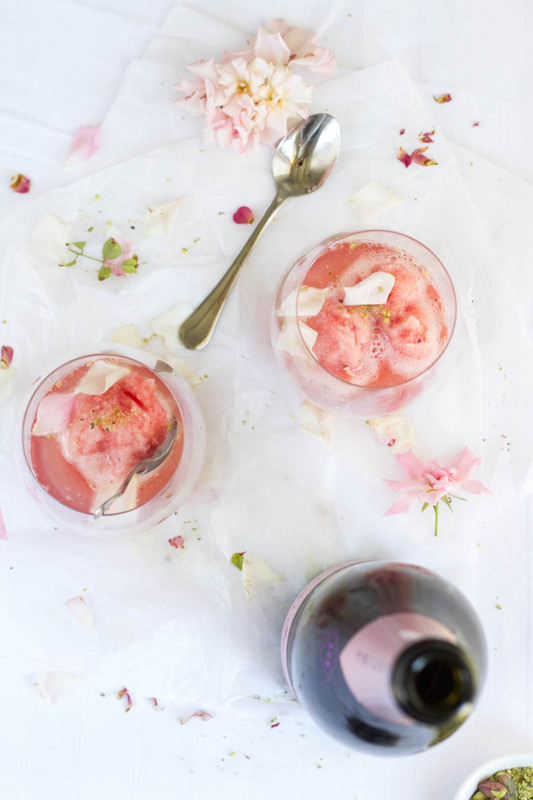 The extra rose flavouring, sparkling rosé, and very girly styling is probably more suited to girls-night-in than Valentine’s Day to be honest, but these things can easily be omitted for a refreshing watermelon sorbet. I loosely followed this Taste.com.au recipe, with less sugar and without the lime. 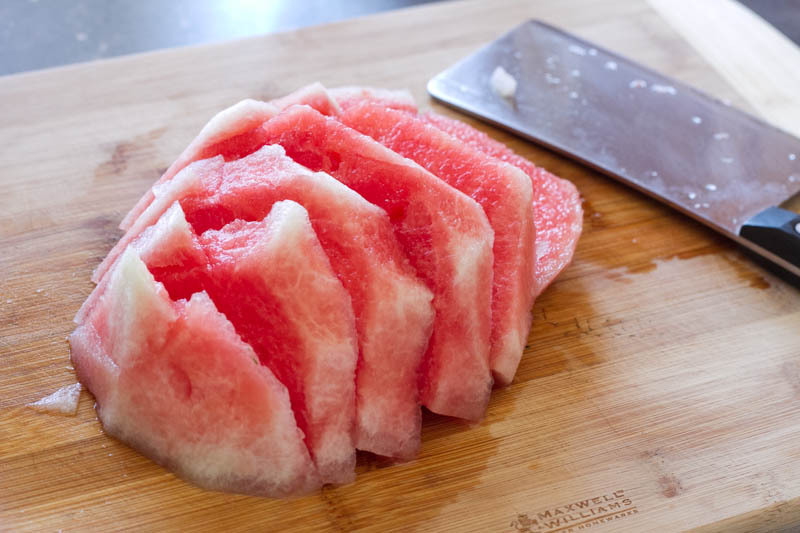 After making a simple sugar syrup, I skinned, chopped and blended half of my small watermelon, then strained out the chunky bigs. I was surprised at how much liquid it yielded (~500mL from ~ 1.5kg of watermelon, before removing the rind), although it shouldn’t actually be surprising that a watermelon consists mainly of water. Thankfully there wasn’t much pulp thrown away in the end, after squeezing it through a sieve. I suppose you could include the pulp, although it might not give as smooth a texture, and you would have to be careful to remove any pips beforehand. 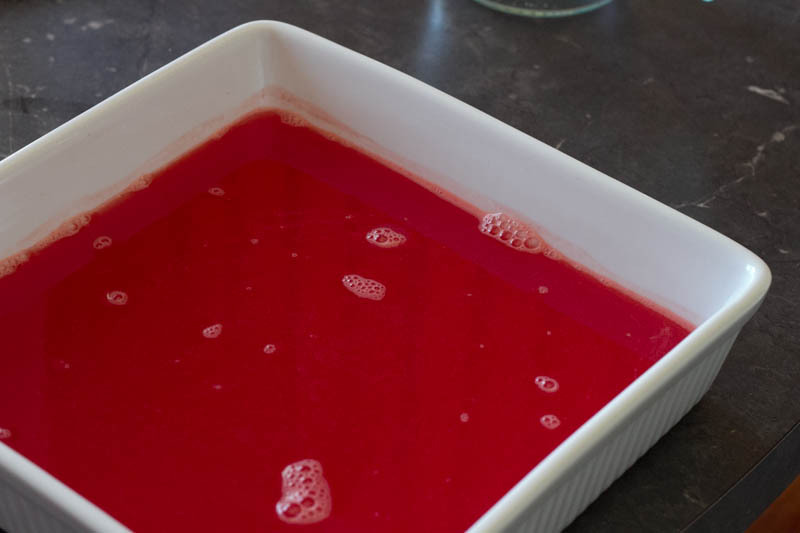 The watermelon juice ended up a very vibrant pinkish red, but after freezing for a couple of hours with the sugar syrup, rose water and sparkling wine then blending in whisked egg whites, it lightened up significantly in colour. The recipe suggests blending the mixture in a food processor every 2 hours to prevent large ice crystals from forming, but as I was home anyway I took it out every hour and mixed it around a bit with a fork just to make sure. The addition of alcohol does lower the freezing temperature and give a more smooth, soft result than it would otherwise, so really I think it would have been fine to freeze overnight and blend just before serving. Rose and watermelon complement each other well, in both colour and flavour, with the sparkling rosé making it a bit more grown up. I won’t deny it, this sorbet tastes like pink. For me this isn’t JesExtender a bad thing, especially as this shade of watermelon pink is one of my favourite colours. The green of some crushed pistachios add a bit of contrast, and the combination with rose water reminds me of some of my favourite middle eastern treats. 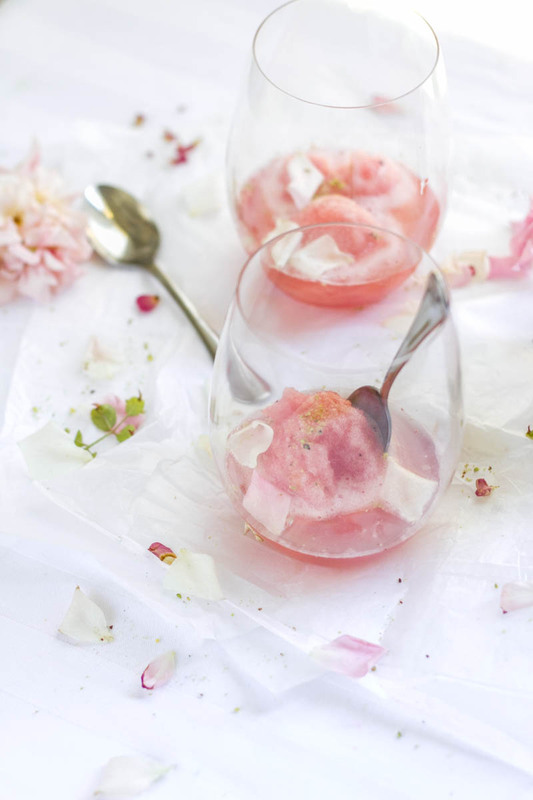 To serve, I added a scoop to stemless wine glasses and topped with pink sparkling wine and rose petals. My poor rose tree has not been enjoying the recent heat, so it was slim pickings for petals that weren’t burnt to a crisp by the sun! Always make sure to use roses from your garden or intended for food consumption, as commercial roses can be laden with chemicals that you don’t want to stick in your mouth. 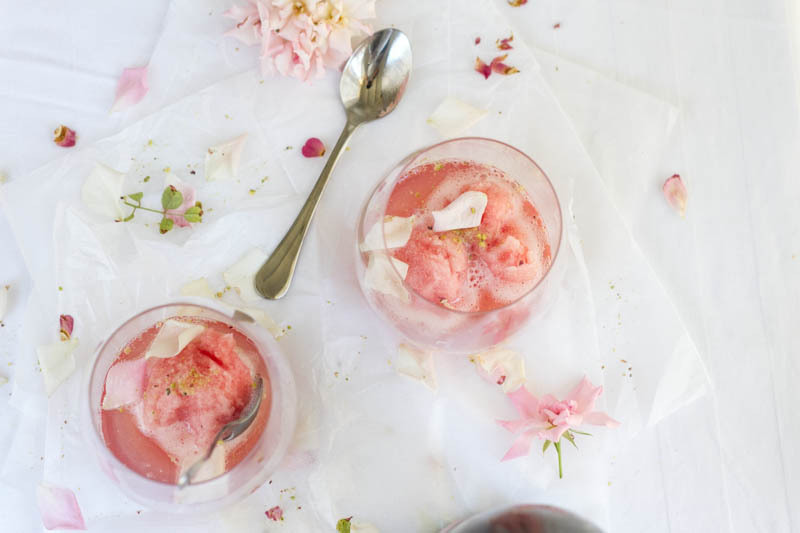 A romantic and refreshing dairy-free dessert for grownups. If you decide to omit the sparkling wine, just keep remember to stir more often to break up the large ice crystals. This process does take some time to get a nice smooth texture. 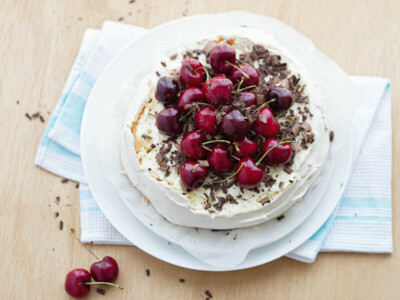 Adapted from this Taste.com.au recipe. Combine sugar and water in a saucepan and heat, stirring, over low heat until sugar dissolves. Refrigerate for 30 minutes or until cool. 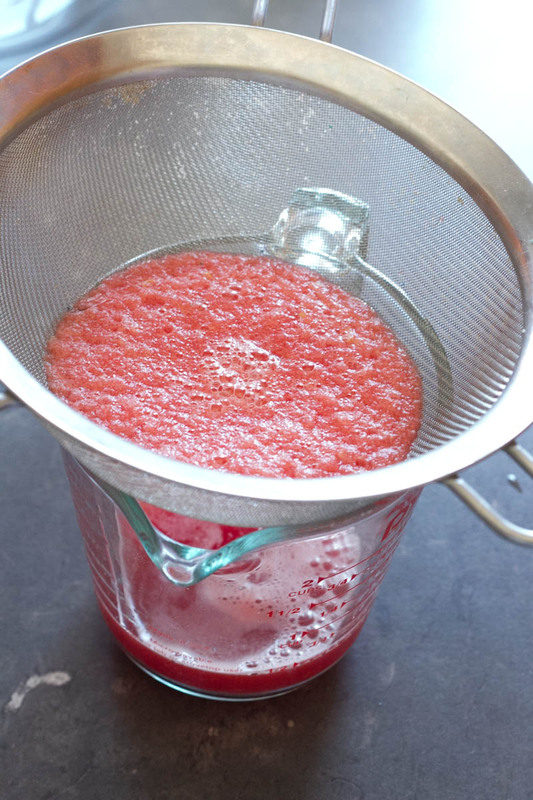 Strain watermelon juice through a sieve, pressing with the back of a spoon to extract as much liquid as possible. 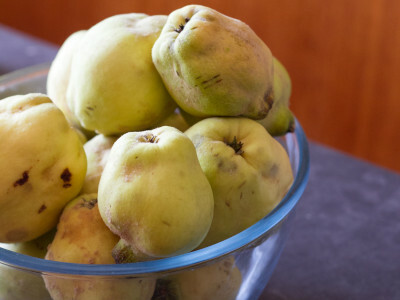 Combine juice with sugar mixture, sparkling wine and rose water. Don’t go nuts with the rose water or it will taste like potpourri – add it a bit at a time and taste as you go. 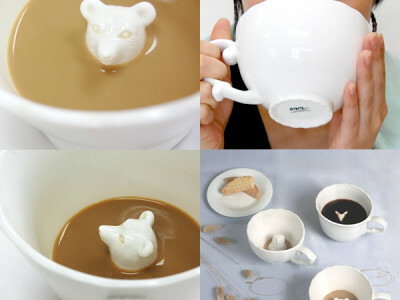 Pour into a container and freeze for at least 2 hours or until almost set. Roughly break up sorbet and transfer to a food processor. 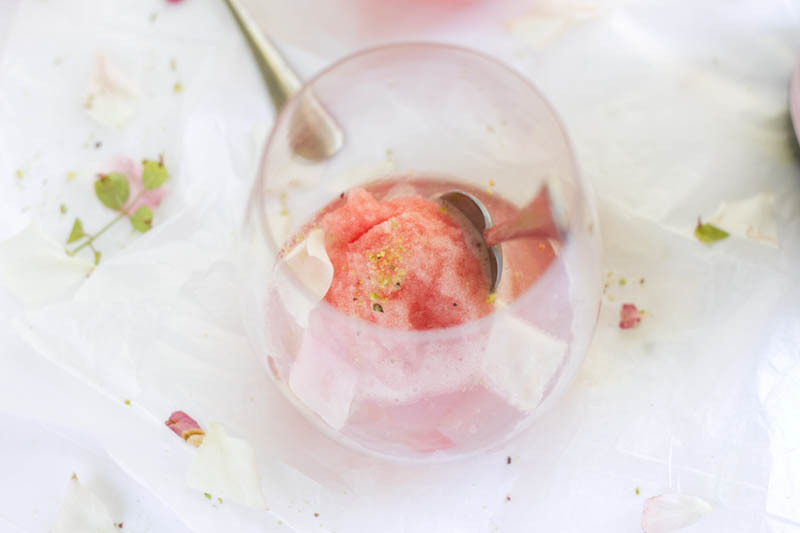 Process until sorbet is smooth and has a soft, icy texture. Return to container and freeze for at least 2 hours or until firm. Repeat processing and freezing twice more. 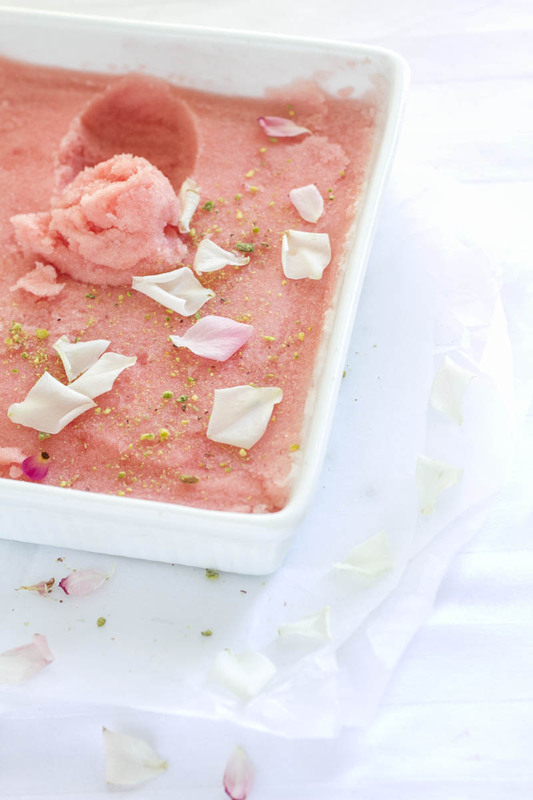 Return sorbet to food processor with egg whites, then process until pale and smooth. Spoon sorbet into container, smooth surface with the back of a spoon and freeze for at least 2 hours or until firm. 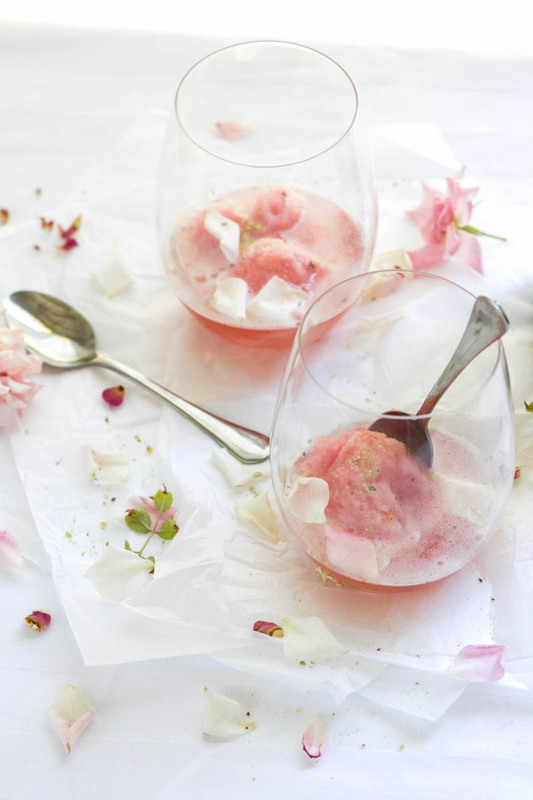 Serve in glasses topped with sparkling wine, rose petals and crushed pistachios. Duuuuudeeee!!!! Your photos here are amazeballs! How much effort did you put in, it’s truly evident – wow! Looks absolutely divine you know, totally bookmarking it pronto! Oh thank you! This one was quite a lot fussier than others I’ve done haha.